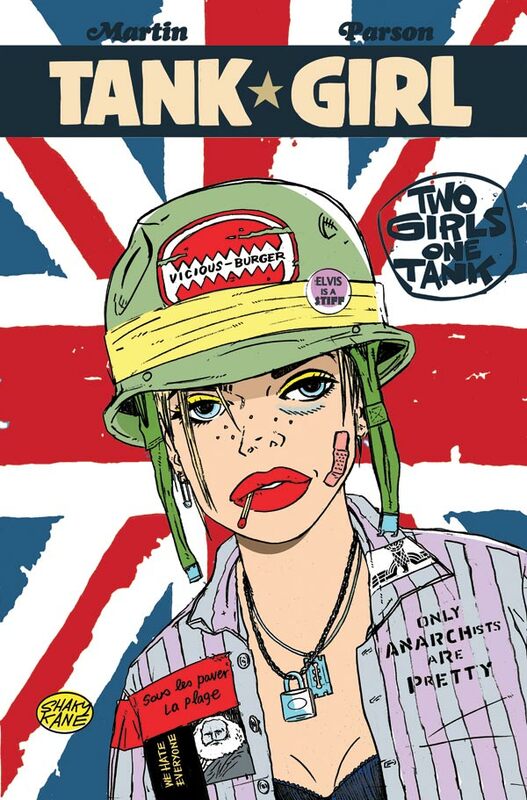 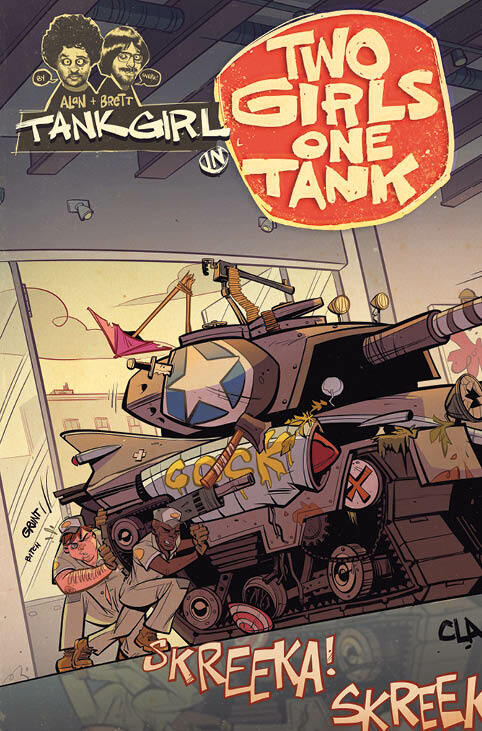 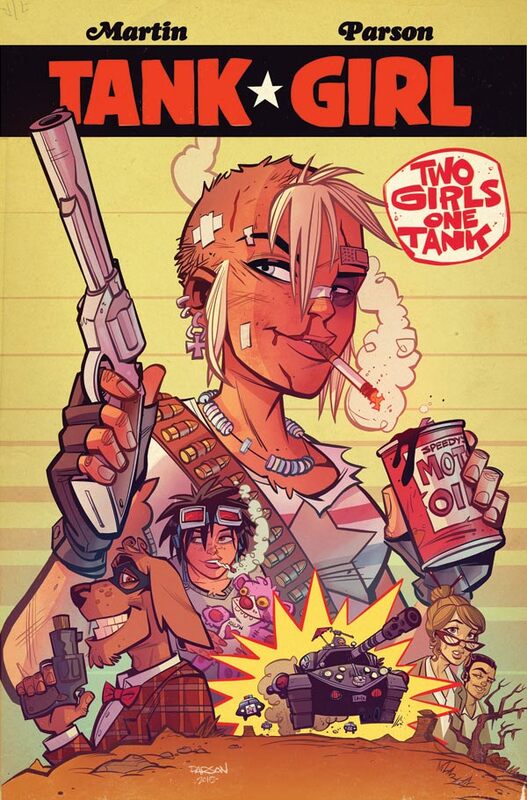 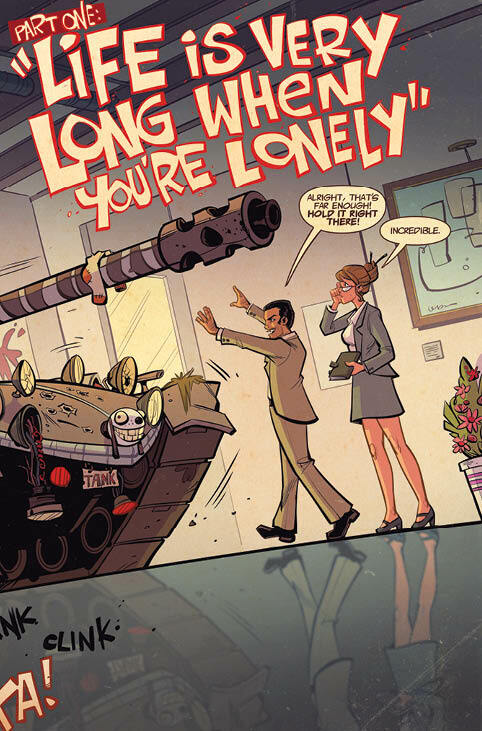 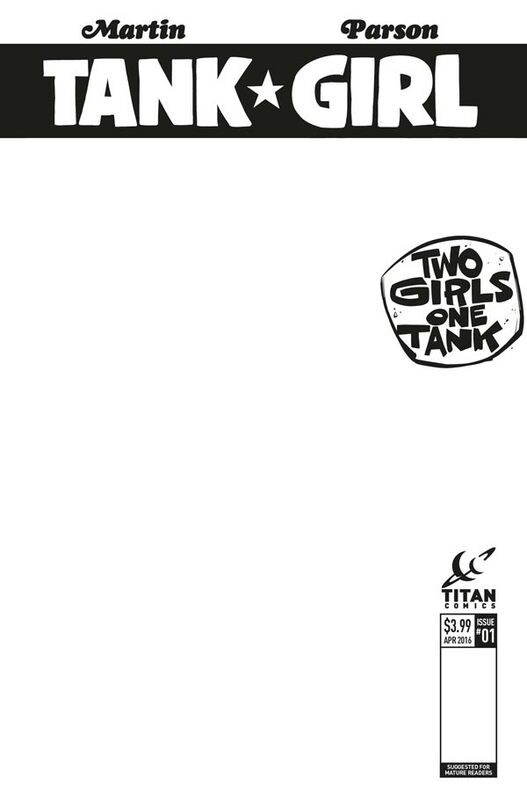 The Fellowship has obtained a first look at TANK GIRL: TWO GIRLS ONE TANK #1 from Titan Comics. 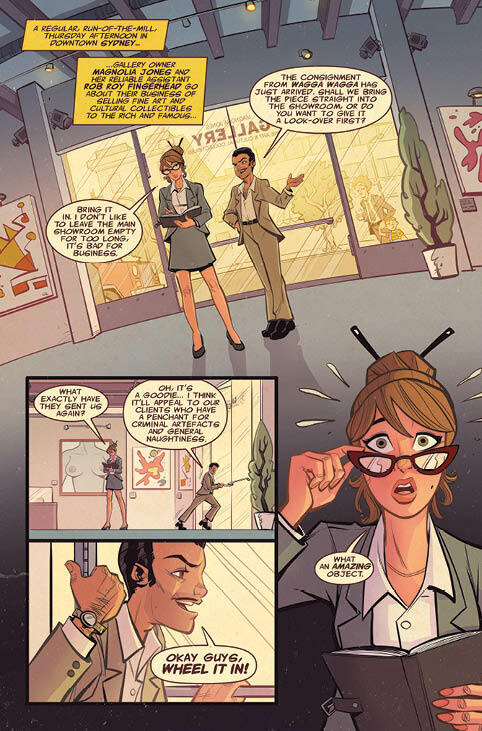 The issue, which hits stores May 18th, is written by Alan Martin with art by Brett Parson. 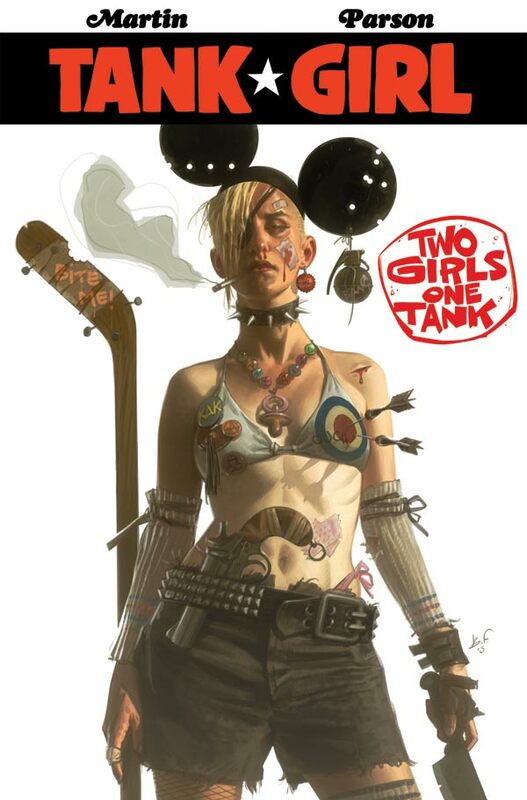 The cover is by The Black Frog with variants by Brett Parson, Shaky Kane, and a Blank Sketch.